Composable CEO Andy Vidan, along with MIT Lincoln Laboratory colleagues Gregory Hogan and Paul Breimyer, was named the 2019 recipient of the IEEE Technical Field Award (Innovation in Societal Infrastructure). This award recognizes individuals whose work on efficient infrastructure systems demonstrates an innovative application of information technology and has potential to make a substantial impact on society. 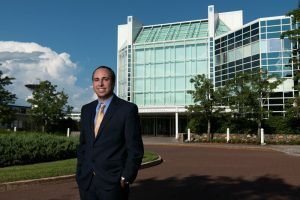 Dr. Vidan, a recognized leader in distributed systems, was selected for his role as architect of the Next-Generation Incident Command System (NICS), a distributed system that facilitates emergency responses and disaster recovery. Today, more than 450 organizations, throughout the United States, Australia and more recently, NATO member countries, are using the Next-Generation Incident Command System to improve their management of all types of emergency responses. MIT Lincoln Laboratory has also earned the FLC Excellence in Technology Transfer Award for successfully developing and transitioning this technology for operational use. “The development of the Next-Generation Incident Command System is of critical importance for enabling timely sharing of information and effective coordination and command of thousands of responders from hundreds of agencies during rapidly evolving, catastrophic events…. Such R&D efforts will translate effectively to saving lives, reducing loss of resources, and protecting our social, economic, and physical environments. 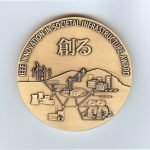 This is exactly the type of innovation and leadership that the IEEE Innovation in Societal Infrastructure award committee is set to recognize and promote,” said Prof. Ling Liu of the Georgia Institute of Technology, chair of the award committee. Dr. Vidan will be presented the IEEE Technical Field Award at the 2019 IEEE Symposium on Security and Privacy, which will be held on May 20 to 22 in San Francisco, CA. Composable Analytics, Inc. builds software that enables enterprises to rapidly adopt a modern data strategy and robustly manage unlimited amounts of data. Composable Enterprise, a full-stack dataops platform with built-in services for data orchestration, automation and analytics, accelerates data engineering, preparation and analysis. Built with a composable architecture that enables abstraction and integration of any software or analytical approach, Composable Enterprise serves as a coherent analytics ecosystem for business users that want to architect data intelligence solutions that leverage disparate data sources, live feeds, and event data regardless of the amount, format or structure of the data. Composable Analytics, Inc. is a rapidly growing data intelligence start-up founded by a team of MIT technologists and entrepreneurs.